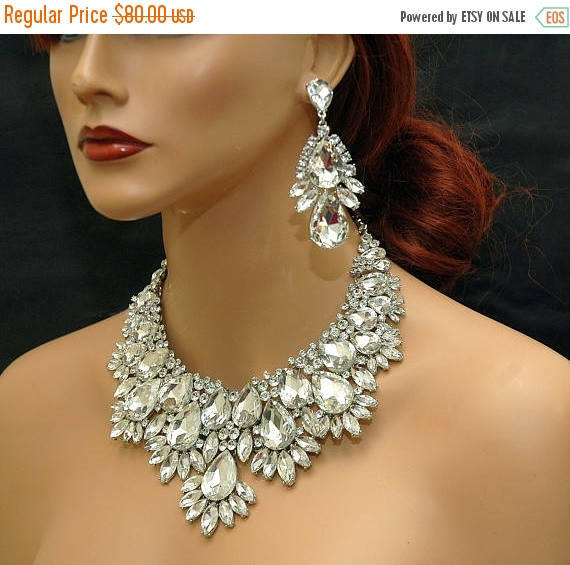 Crystal Statement Wedding Necklace, Bridal Crystal Choker Necklace, Wedding Crystal Necklace Jewelry Set, Chunky Necklace, Prom Jewelry Make a statement with this beautiful matching set of necklace and earrings. Made with silver plated metal accented with teardrop swarovski crystal elements. The necklace measures up to 20" long and matching earrings 3" long.